If the first words that just came in to your head were never in a million years, then you are probably in good company. 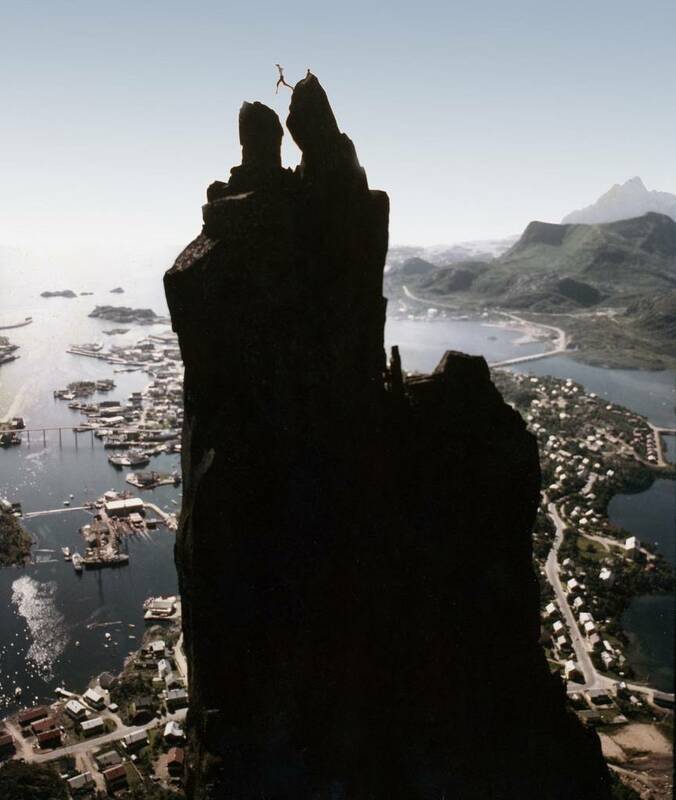 The Svolværgeita mountain in Norway was first climbed just a little over a century ago in 1910. Yet since then a tradition has emerged among the mountaineering fraternity: those who reach the goat’s horns jump them. Because they can.